We have updated Shop-Script’s mobile app to help you better manage your online store anywhere and anytime, via a smartphone or tablet. Shop-Script itself has been updated, too, to support the mobile app’s new features. The new version will work at its full potential only when connected to Shop-Script updated at least to version 7.3.0. We have added the options of editing orders and customers’ contact information to the mobile app. Enable the permission to edit these data in each courier’s settings, if necessary. Item quantity change and deletion. Swipe an order item to make additional buttons appear to quickly increase or decrease item quantity in an order, or to delete an item. Action execution. 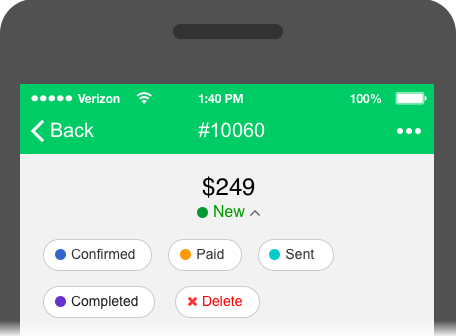 Tap on an order’s status name at the top to show the list of available actions. Click the name of an action to execute it. Product search results cached on return from a product. In the previous version, when you ran a product search, then opened one of the found products, edited it, and returned back, the search results were lost and you had to search again to view them. Now search results are still there after you return, and your time and nerve cells no longer get wasted. Long product names fully visible. Before this update you sometimes had to guess whether it’s the right product you are dealing with if you saw only a part of its long name. Now product names are fully displayed above their photos so that you don’t have to guess any more. Stock names and products’ stock quantities visible on order-viewing screen. The previous mobile app version used to show only product names and SKU codes as well as ordered quantities and prices. With multiple stocks set up in Shop-Script, that was not enough for convenient work because you wanted to know how much of a product was left and on which stock. The app has become more useful in this case. Optimized product image upload, server HTTPS redirects taken into account for showing product images, improved verification of server SSL certificates, and other improvements. View the full list of changes in Shop-Script changelog. Option “All address fields required by selected shipping option including hidden completed fields” has been added to prevent shipping plugins from hiding completed customer address fields if they did it. An example is Courier plugin. 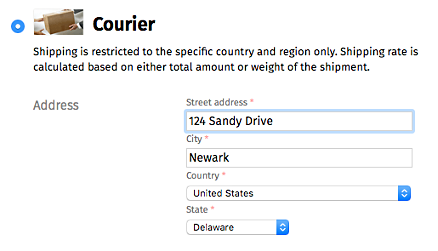 If a customer had specified the street address field in his shipping address, then Courier plugin did not allow to view or edit that field on shipping option selection step during checkout. With the new settings option, a completed field remains visible and editable. If you are using a shipping plugin, which still hides completed address fields, like Courier did, then ask the plugin developer to update his software. Courier plugin was updated shortly after Shop-Script’s update. 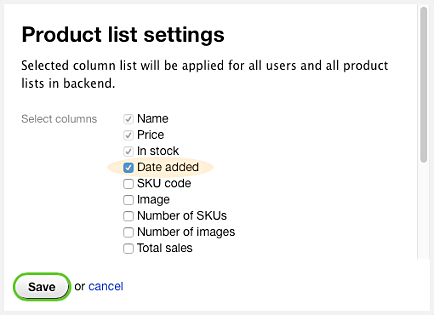 New column list option “Date added” has been added to the “Table” viewing mode setup dialog in “Products” section. Before this update, you could only sort products by the date they were added to your catalog. But there was no way to view that date, except for directly accessing the database. This has become easier now. Users of Google Chrome browser can finally resume their normal work with Shop-Script, because text formatting functions have been restored in category and product description editing fields by this update. Applying of font bold, italics, underlining, and other styles to description text worked poorly in Chrome and similar browsers with the previous WYSIWYG editor version. We have updated the editor to a newer version in those backend sections, and it has fixed formatting functions there. They were added to Shop-Script for the new mobile app to use its new features. And they can be used by third-party developers of other software exchanging data with Shop-Script, too. View full list of Shop-Script API methods. Wait for the news in your Installer! Webasyst framework has been updated to version 1.8.0. We have made more comfortable and reliable the editing of site pages containing Smarty code and diverse HTML tags. If you sometimes switch between WYSIWYG and HTML editing modes then there are a few innovations for you. The WYSIWYG editor expects some standard HTML markup for correct text formatting, that's the way it works. If your HTML code does not match its “expectations”, then the editor will either change your tags or will delete some of them by leaving only text. It’s how it worked before, too, but without a warning, which upset some users. We cannot make the editor “digest” any HTML code unless we make its logic very complicated by spending an enormous amount of time to achieve that. Therefore, we have simply added a warning popping up every time you switch from HTML editing mode to WYSIWYG and asking for your consent to possible automatic changes. If you need to switch to the WYSIWYG editor, check your HTML afterwards. To keep the visual editor’s logic simple, we have disabled it for pages with Smarty code. If you have Smarty tags in your page, then the WYSIWYG editor will not open and will only show a notification. If you have to use Smarty on some pages, then you will have to do without WYSIWYG editor on that page. Visual text formatting will remain available for any other pages without Smarty code. To add an image to a page, you had to switch to WYSIWYG mode because there was no other option for image uploading. And switching to WYSIWYG mode broke your Smarty tags or replaced some of your HTML tags, which was a pain! We have worked around it by adding an image uploading button in HTML editing mode. Now you don’t need to switch to WYSIWYG only to upload an image. Disabled excessive page scrolling to code portion found by the search function. Fixed uploading of images with different characters in file names. Removed excessive formatting of HTML tag <iframe> when switching to WYSIWYG mode. Fixed context menu in Google Chrome. This function got broken by one of previous updates, and now we have fixed it. It worked not quite correctly before: some one could sign up on your website and post a spam comment, then you disabled access for that contact but he did the same thing later again. Why? It was so because authorized user’s session remained active when you disabled access in contact settings, and a user could keep posting spam. Now a user session is terminated when you disable access for a contact, and so battling spammers has become a little easier. National domains encoded in Punycode used to be not quite friendly to Webasyst users, they were sometimes incorrectly displayed and even were not properly saved in settings. In this update we have fixed all serious Punycode domains-related defects in Webasyst that we had known of. If you still experience difficulties with managing such domain names in Webasyst backend, please let us know. Site has been updated to version 2.3.0. Setting up redirects to HTTPS has become easier. Now you do not have to edit file .htaccess any more and only need to enable a parameter in your site settings. Of course, it will work only if you have installed an SSL certificate for your domain name. If HTTPS redirect is not required for an entire website, then you can enable it only for selected rules in your site structure settings. The new HTTPS redirect parameter is now available for all app rules in the “Structure” section. In “File manager” section, we have added a note that all uploaded files can be downloaded and viewed by any website visitor without having to enter a password. If you are still keeping personal documents in Site’s file manager and hope that hardly somebody will ever guess their URLs, we urge you to think more seriously of your data security. For reliable data storage use special secure software; e.g., Webasyst Files app. Improved URLs of links to files in the file manager with backend opened via HTTPS. Deletion of robots.txt contents upon deletion of a site from app settings. Deletion of whitespace characters in site URL when saving website settings. Fixed errors in page adding and editing section. Eliminated blocking of user interface in case of critical errors in a design theme. Fixed database error in “Blocks” section in a newly created Webasyst account. Fixed redirecting from URLs containing “+” symbol. We are already working on the next update, which will be Shop-Script and its mobile app for smartphones. Wait for updates in your Installer! Our support team will be processing written requests at a limited rate from December 30, 2017 (Saturday) through January 8, 2018 (Monday). Response to some of your requests may be provided with a delay. The support team will get back to their normal working hours on January 9, 2018 (Tuesday). In just a few days all of us will step into another new year and will start learning to write 2018 in dates instead of 2017. To brighten up your farewell to the ending year, we are starting a traditional New Year discount campaign in Webasyst Store. This time it’s -18%! The special offer is valid from December 20, 2017 21:00:00 through December 31, 2017 08:59:59 GMT. Cyber Monday 2017: all apps 50% off! The biggest sale in Webasyst Store. are waiting for their users! 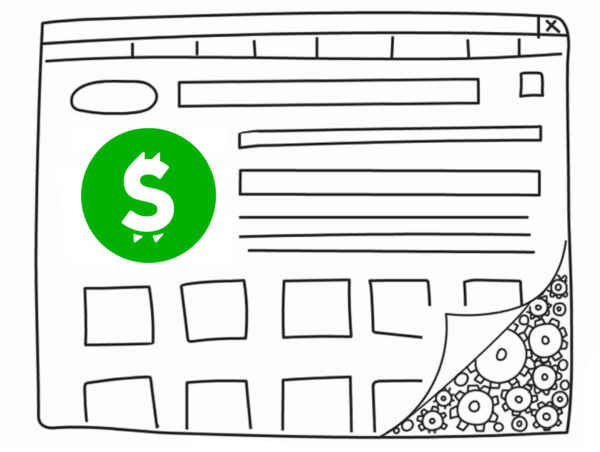 On November 9, at 06:18 GMT the operation of all Webasyst services was unexpectedly interrupted: Cloud accounts, Customer Center, and our own websites webasyst.com и shop-script.com. The downtime reason was a network equipment failure in a data center provided by OVH company. We have our servers hosted by OVH, due to their well-known reliability and a professional approach of their staff. Of course, no one is immune from such incidents, and OVH needed only several hours to eliminate a serious power supply failure that had impact on their network equipment. 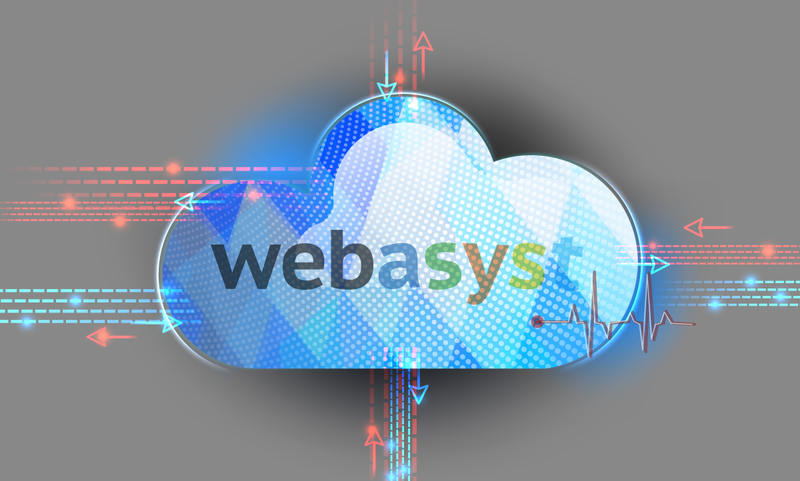 Webasyst servers were up again around 12:16 GMT on the same day, and all our services are now functioning as usual. The data center failure has had no effect on the integrity of Webasyst users’ data. This force majeure incident has dropped Webasyst Cloud availability percentage from 99.972% to 99.918%, but this unpleasant fact only gives us additional reason to make our service even more stable and closer to the so-desired “all-nines” rating value. We are really sorry if your work has suffered because of this downtime. Please send personal requests via Customer Center if you require compensation. Thank you for staying with Webasyst! We shall keep doing all we can to ensure your comfortable work with Webasyst under any circumstances. We have published fresh updates for Shop-Script and shipping plugin “Courier”, which add the option to request preferred delivery date and time from a client during checkout and a convenient settings interface for managing the available list of delivery time intervals in the store backend and in the mobile app! 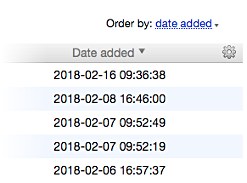 Added templates for notifications on order actions “Shipping details changed”, “A comment was added for the order”, “Order was settled”. Fixed product stock level update when an order in a custom status is marked as paid. Fixed calculation of the total amount for an order added in the backend, with a discount applied. Improved API for the mobile app. Fixed product‘s default SKU update via CSV file import. Now in CSV file you can specify value 1 for the SKU which must become the default one for a product. On shipping option selection step during checkout, plugins now use the sort order of address fields defined in the store settings. Now the sort order of address fields requested by a selected shipping option is controlled by your choice in the store settings. New setting to control the address fields to be completed by a client. Now the “Courier” plugin can, depending on your choice, either require from a client mandatory completion of default address fields (country, region, city, street) or request optional completion of a custom set of address fields which you may set up in the store’s checkout settings. Option to request from a client either only preferred delivery date, or only preferred delivery time, or both values during checkout. Important note: This option must be supported by the app the plugin is used with; e.g., Shop-Script ver. 7.2.4.114 or higher. In March we are planning to release another update for mobile Shop-Script app to optimize its operation and to add order sorting by update and shipping time, and by status. We have released a major Shop-Script update to ver. 7.2.0. For follow-ups, you can now set the delay period in hours rather than days as before. Follow-ups can now be associated with any order states. When editing an order, you have the option to cancel the sending of a notification to customer even if you have such a notification set up. In mobile app push notifications for couriers were added, app content synchronization with user access rights was improved, custom address fields were added to order-viewing screen, and some bugs were fixed. You can view the complete list of new features and changes on the Shop-Script changelog page. This update is already available in your Installer and on GitHub. Courier assignment in any order status using new system action “Change shipping parameters”. Option for a customer to enter preferred order shipping date and time during checkout — for Courier plugin. 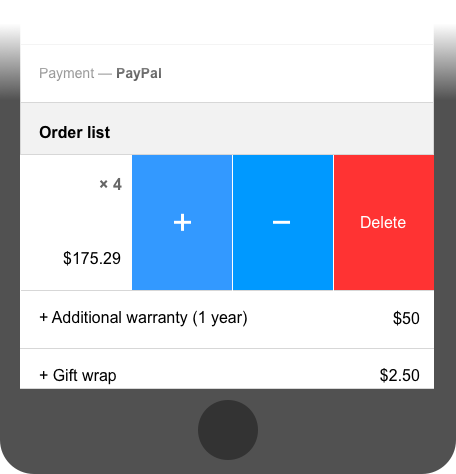 Order shipping date and time editing in main backend and via the mobile app. Order sorting by shipping date and time as well as by status in main backend and in the mobile app. Dear friends, we wish you happy New Year! 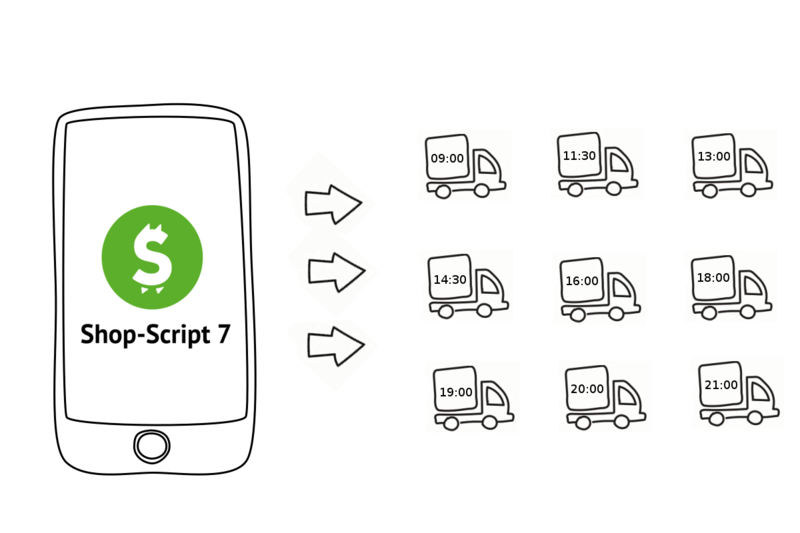 Biggest and most complex Webasyst release in 2016: Shop-Script 7 and a mobile app for online store management. Design theme Dummy, which is very handy for fast development of your own design themes. Updated terms for the partner program including fair 50% discounts for our partners. Over 40,000 written requests processed by the support team. The number of developers working with Shop-Script 7 GitHub repository exceeded 1300. Improved CRM system for better managing your clients, deals, and sales. IP telephony support for Webasyst. New versions of free design themes CUSTOM, Clear, and Nifty. Several major updates for Shop-Script! In January or February, we are going to release the first of them to add convenient order assignment to couriers and other features that are most highly demanded by Shop-Script users. Tasks, calendar entries, notes, and discussions will be easier to handle with new tools for online collaboration. Webasyst Store and the entire website will receive better design and navigation to help you faster find even more useful apps and plugins for your Webasyst. Many of the new features announced above are close to final release, so you will enjoy some of them very soon, at the very beginning of 2017. New Webasyst apps and features will be highly valuable for online stores and companies who are seeking ways to work faster and more efficient, and to be always online. In 2017, Webasyst will significantly grow and will become your indispensable online office! 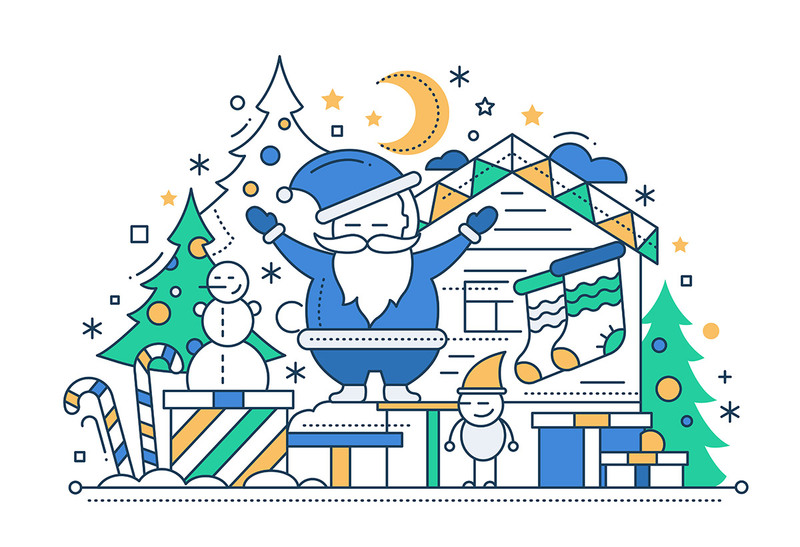 Because of New Year holidays, Webasyst support team will be processing written requests at a limited rate from December 30, 2016 (Friday) through January 4, 2017. Note that response to your requests may be provided with a delay. The support team will get back to their normal working hours on January 5, 2017 (Thursday). Please be patient and have a happy New Year!